It’s certainly not a day like any other, because I’m well aware that another decade has passed. But it won’t be a special birthday for me, I already know the feeling from my previous big birthdays. If you compare yourself today with Alexander, who was 25 years old, do you still recognize yourself? I still absolutely recognize myself as I was then. You go your own way in life. There are many things that change, some things remain the same. Maybe I’d like to be 25 again, but my sense of reality tells me that it won’t happen that way. And it’s not like everything was better at the age of 25. There are also things that are better at 50. 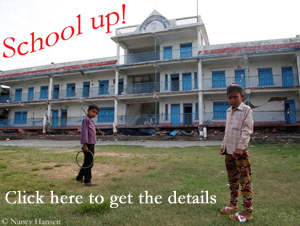 The priorities are constantly changing. This is a completely normal process in life. It would be a miracle if it wasn’t so. Have you become more cautious? Yes, in the sense that I no longer do the wild actions like at the age of 25 or 35. That also has a lot to do with my sense of reality. I know that I pulled things off at a level I don’t have anymore. That means I can’t top the things I’ve already realized anyway. And that’s why I just take it easier and do the things that are possible for me. 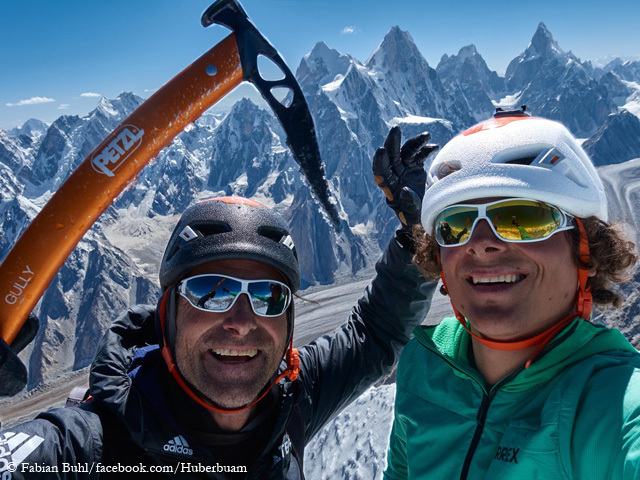 Last summer you opened with Fabian Buhl a new route via the South Buttress of the six-thousander Choktoi Ri. 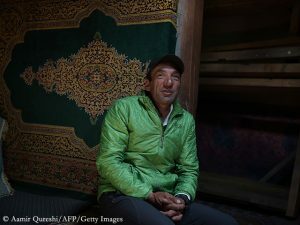 How good did it feel – after some failed expeditions in the Karakoram? Such a success always feels good. It’s fun to reach the summit. That’s the reason why you set off at all. 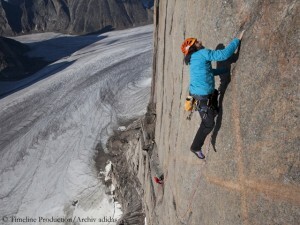 But it is quite normal in the life of a climber that there are actions that don’t lead to success. Especially on larger expeditions, I have a success rate that is well below 50 percent. If you can’t cope with that, you have no business going to these mountains with ambitious goals. If anybody claims to be a “Mister 100 Percent Success”, I can only say: Well, then he never really tried to push himself to the limit. I prefer to keep pushing my limits and taking a setback from time to time instead of trying things that are easy to get. But on Choktoi Ri, it ran smoothly for you. Yes, although we had a difficult season due to the meteorological conditions. 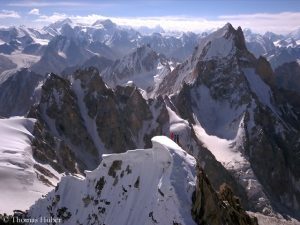 Also in the Karakoram you notice the impact of global warming. There was a lot of bad weather this year. But in terms of tactics we performed extremely well, so that in the end the result was success. Only a single wrong tactical decision would have meant that we would not have made it. We did well, but also had the bit of luck that you need. Fabian is 28 years old, more than 20 years younger than you. Were you already a little bit in the role of the mentor, who passes on his experience? Sure, that’s the role you automatically take on. Of course I am a mentor of Fabian. But in the end I was looking for a competent climbing partner for my idea. One of Fabian’s strong points is that he is incredibly motivated, has incredible fun while climbing and is not afraid of anything, he really enjoys every effort. That’s exactly the kind of partner you need on a mountain. This is the only way it can work. Was it perhaps also a model for you for the next few years to be en route in a team of only two? I’ve done that before, so it’s not a new model for me. In principle, I prefer to be on the road in a team as small as possible. But it also depends on the goal. To tackle, for example, Latok II in a team of two, would almost mean to ignore the danger of the mountain. If something happens, you have only a minimum safety reserve. Is there a highlight in your climbing career that stands out and that you particularly like to remember? I am happy that I was able to set my highlights in very different fields of climbing and that I have always kept alpinism alive and interesting for me. 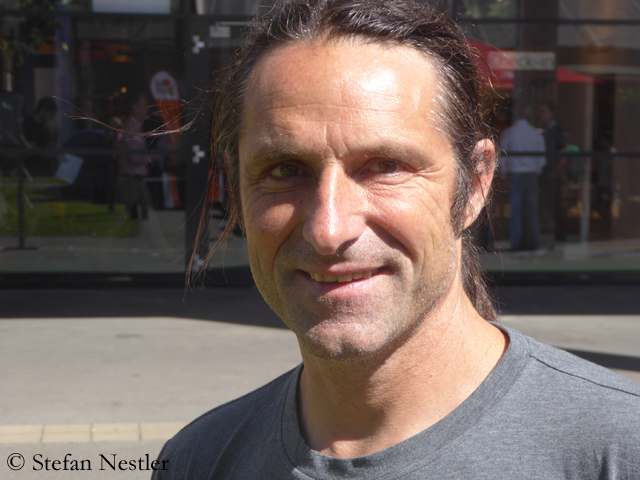 It all started for me on top level with alpine sport climbing. Today I can’t imagine being a sports climber with the same enthusiasm again, it would probably have become much too boring for me. But if you look at what alpinism is all about – be it in Antarctica, Patagonia, the Yosemite Valley, the Dolomites, doing speed climbing, free solo climbing, difficult alpine routes, expeditions, eight-thousander, sports climbing in the eleventh-degree – then all you can say is: Cool to have such a sport that can be interesting on top level even after thirty years. 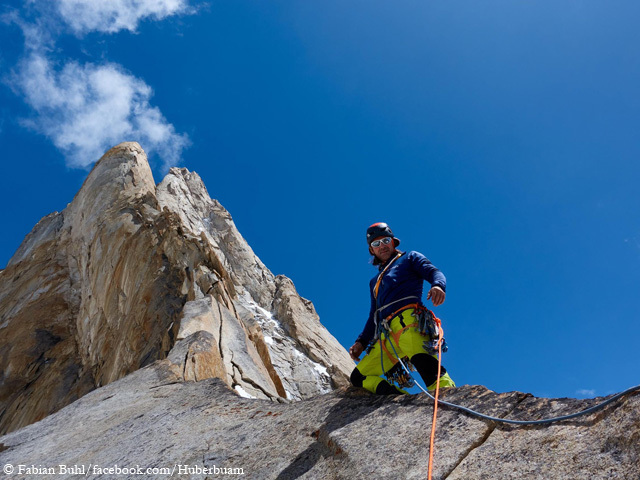 Let’s look ahead, what goals do you still set yourself as a climber? I only set myself medium-term goals. In the long run I can only say: I want to be happy with what I do. But what exactly will that be? I don’t know. It will happen. I am lucky to have come through my climbing almost injury-free. I’m still healthy, nothing hurts me, and that’s why I continue to go to the mountains. But of course it can look completely different from one day to the next. Is there already a concrete project for 2019? The only thing I know for sure is that I will not go on expedition. I still want to climb various routes here at home in the Alps. But the concrete project for 2019 is not to travel to the Himalayas or the Karakoram. And how will you spend your birthday? Like every year. I’ll celebrate my birthday with my friends. 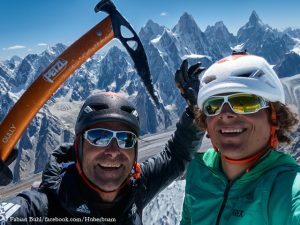 “My tactic of arriving later in the season didn't work this time,” Thomas Huber tells me after his return from the Karakoram, adding that it was a “fully mixed” expedition. “It started incredibly well, but unfortunately it didn't end the same way.